Does Home Insurance Cover Damage From Appliance Fires? 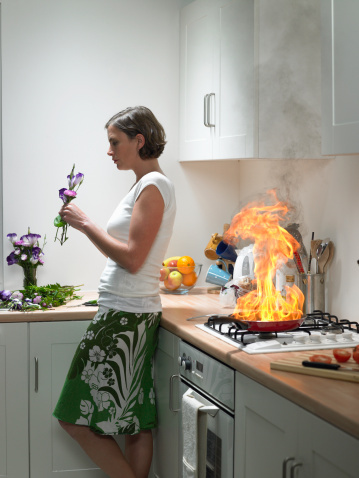 Home > Blog > Does Home Insurance Cover Damage From Appliance Fires? Fires are among the most common types of claims made on home insurance policies. And they have many causes, including lightning, electrical problems or malfunctioning appliances. In some situations, your home insurance policy can cover the damages that occur as a result of the fire. However, this depends on the underlying cause of that fire. In some cases, your policy will not provide you with the protection you need. When Does Home Insurance Cover Your Losses? When determining whether or not home insurance can provide you with adequate protection, keep one key thing in mind. The underlying cause must be something deemed both unexpected and non-preventable reason. For example, there is no way to avoid a home being struck by lightning. And insurers also consider electrical fires that start inside walls to be unexpected, as you likely can't see inside walls (unless you have X-ray vision). Appliances are different. If the appliance malfunctions through no fault of your own, your home insurance policy is likely to help you cover it. In fact, your insurer might even help you file a claim with the manufacturer. But if the appliance caught on fire because of poor maintenance, or because you operated the appliance in an unsafe manner, then the losses may not be covered. For example, if a your stove caught fire because of a grease buildup and the flames spread throughout your kitchen, your insurer likely wouldn't cover most of the damage — as they'd deem the blaze to be preventable. Take a close look at your home insurance policy. Read through the details to be sure you know what the policy covers and what it does not. Understanding these terms is very important for any property owner because it ultimately defines whether or not your home is completely protected from risks. And it can also help you to see the maintenance steps you need to take to protect your property and to ensure your insurance policy remains in place for any type of incident. Learn the details of your policy. Call McInnis Insurance Services, Inc. at (855) 926-0860 for a free Baton Rouge LA home insurance quote.